“I am aware that my arrival last week helped re-elect President Obama. Superstorms like me don’t play politics but it should be clear by now that your refusal to tackle global warming has serious consequences. Higher sea levels and amped-up hurricanes like me are just two of them. There is an awful price to pay for burning coal, oil, and natural gas I’m sorry to say. Putting hundreds of millions of tonnes of carbon dioxide (CO2) into the atmosphere is trapping more of the sun’s heat energy. CO2 is the planet’s natural heating blanket but those extra hundreds of millions of tonnes of CO2 has made that blanket thicker. And it is getting thicker every year. 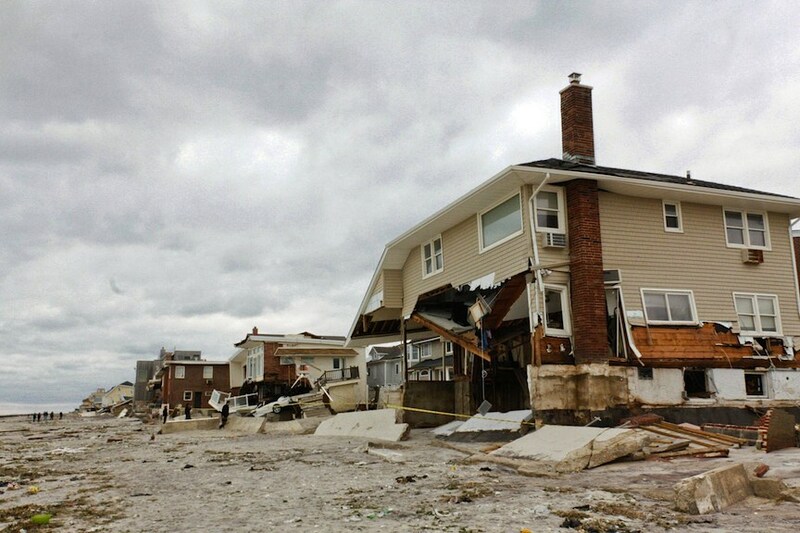 Killing nearly 200 people in the United States, Canada and the Caribbean and crippling much of New York City and surrounding areas earlier this week, Hurricane Sandy was the kind of extreme weather event scientists have long predicted will occur with global warming. 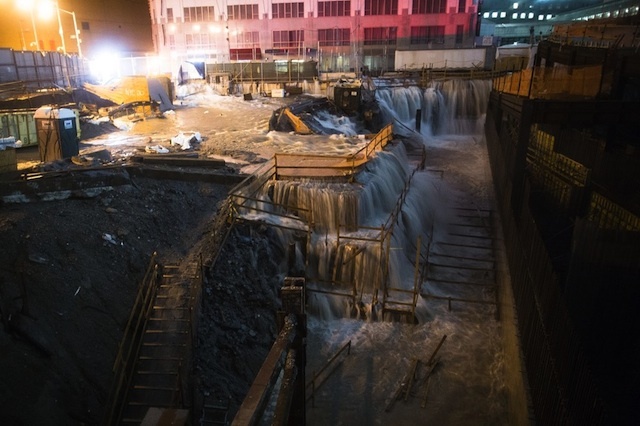 “Climate change is a reality,” said New York Governor Andrew Cuomo after Sandy swept through his state. 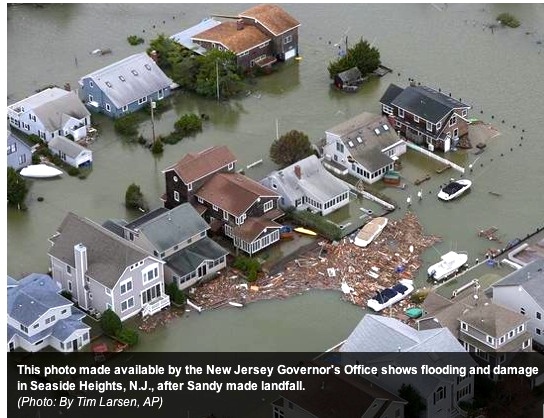 Sandy was twice the size of an average hurricane, and it hit the eastern coast of the United States, where sea levels have been rising the fastest, said Kevin Trenberth, senior scientist at the National Center for Atmospheric Researchin Boulder, Colorado. “All weather events are affected by climate change because the environment in which they occur is warmer and moister than it used to be,” Trenberth, an expert on extreme events, told IPS. 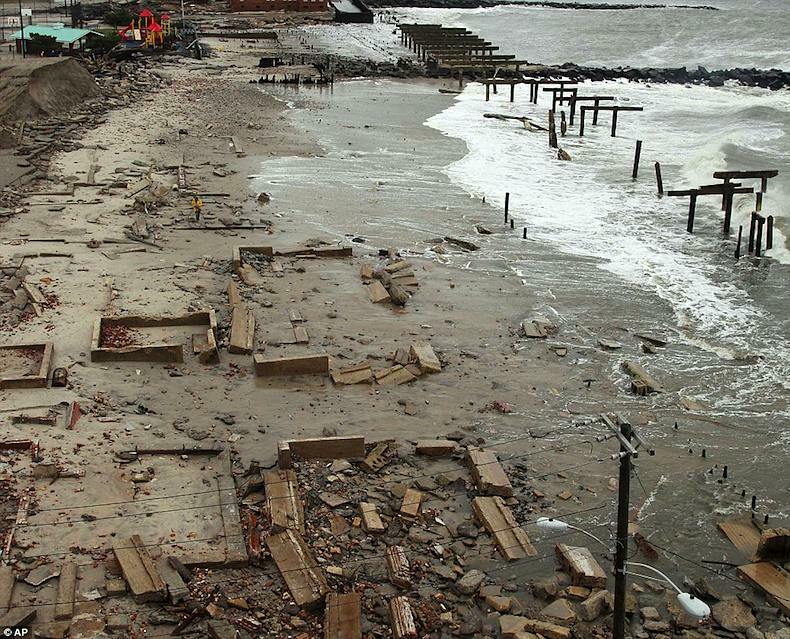 Whether climate change caused Hurricane Sandy is the wrong question to ask, added Trenberth. He explained that climate change helped make Hurricane Sandy more destructive than it otherwise would have been. Earlier I called myself a hybrid storm: part nature, part human. That’s not quite right. Humans and Hurricanes are part of nature. We both thrive on this planet thanks to sunlight, water and carbon dioxide (CO2). Hurricanes and tropical storms have been around for millions of years. In the last 50 years things have changed. The oceans are warmer. This week the waters off the US east coast were 3 degrees C warmer than normal. I am saddened by the damage and loss of life but am truly surprised you are so shocked by the extent and severity. Haven’t you noticed hurricanes, cyclones and other storms have become more powerful in recent years? And that extreme weather events like record flooding, droughts and heat waves are happening more frequently? In 2012 extreme weather records were broken all over the US. In 2011 there were 14 separate billion-dollar-plus weather disasters in the US including flooding, hurricanes and tornados. There are estimates that I might cause $20 billion in damages in the US in addition to the $2+ billion in costs in the Caribbean. That’s a lot of money — enough to give every human on the planet $3. But it is only a fraction of the $600 billion the oil and gas industry is spending this year alone [2012 Harvard study, pg 8] in exploration and new production. That $600 billion investment in fossil fuels will bring far greater storms than I. To be absolutely clear: I am not “targeting” New York City or anywhere else. I am pushed and pulled by temperature and pressure differences. My winds are powered by warm water and moisture. And there is enough heat and moisture for my winds to make 12-foot high waves over a 3 million sq km area – one third the size of the US.